Washington, DC – May 13, 2011 – (RealEstateRama) — The commercial real estate market continues a slow pace toward recovery with occupancy rates rising in the office and industrial properties in most major cities across the U.S. supported by rising employment and restocking of wholesale inventory, according to National Association of Realtors® Chief Economist Lawrence Yun. At the “Economics Issues and Commercial Business Trends Forum,” Yun identified bright spots and challenges within the commercial sector. The forum took place during the Realtor® Midyear Legislative Meetings & Trade Expo here this week. 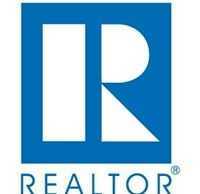 In the second half of 2010, Realtors® reported seeing more movement in the commercial market. According to Yun, this movement is occurring as property price have become fallen, providing attractive returns on investment. However, tightened lending standards continue to pose a challenge because national banks are still hesitant to lend. However, movement in the commercial sector hasn’t translated into increased prices as the properties values are being dragged by the existence of distressed properties. Yun said, it could be several years before commercial property prices rise in any meaningful way, though some prime class-A properties in sought-after markets like Washington and New York have already started showing price recovery. The apartment sector remains the strongest with solid net absorption and rents expected to increase 4 percent nationally in 2011 and 5 percent in 2012. In metropolitan areas like Washington, rents could rise close to double digit rate of appreciation. The federal deficit and rising gas prices weigh heavily on the overall economic outlook. Interest rates are currently artificially low and unsustainable, and Yun expects the rate of inflation to increase to 3 or 4 percent by the end of 2011 and up to 5 percent by 2012 if gas prices do not retreat. During the session, Yun was joined by commercial broker David Murphy of CB Richard Ellis in Orlando, Fla. Murphy was named top overall commercial producer for the company in 2009. Murphy echoed Yun’s sentiments about the outlook for commercial real estate. “We are in the early months of a cyclical recovery,” said Murphy. “Leasing velocity is improving, investment sales are expected to continue to improve at higher than normal rates, and leasing growth rates should continue to improve. Approximately 8,000 Realtors® and guests are attending the Realtors® Midyear Legislative Meetings & Trade Expo. During the week, Realtors® will also meet with legislators on Capitol Hill to urge action toward streamlining short sales, ensuring access to affordable financing, and preserving the tax benefits associated with home ownership. For more information about the meetings, visit www.realtor.org/midyear.